ALC880, ALC882, ALC883, ALC885, ALC887, ALC888, ALC889, ALC892, ALC861VC, ALC861VD. ALC660, ALC662, ALC663, ALC665, ALC680. - Integration of HDMI Driver V2.67 (AMD Radeon). - Best Support EAX 4.0 - EAX 5.0 (In plates that support it). - Emulation of 26 sound enclosures (Internally) (limit of the chip). - Increased stability in both Coaxial Digital settings as Opticians (Connection Receiver). - High Volume without Distortion in Audio. - Best Low Frequency response. - No (Without) Sonic Focus, Dolby Digital, DTS, Messrs.
-Driver designed (design) to (for) performance (performance). Shorter-name driver (Device short name). -Integration of HDMI Driver V2.67 (AMD Radeon). -This is the last stable version has been accomplished driver. 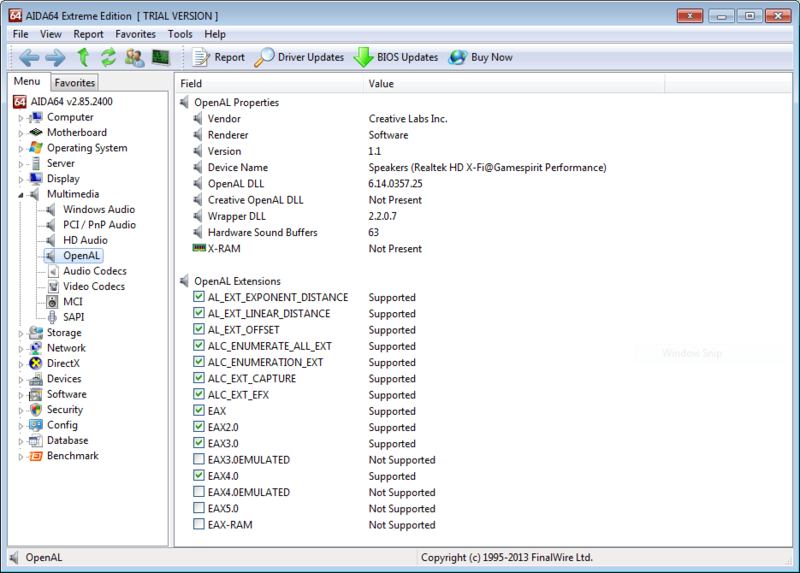 Realtek hdmi does not work on Windows 8, please stop windows from installing default driver. -Better compatibility with some chips. -Added settings serious headphones ~ 200hz +12 db cut. -On some computers with Windows 8 failure occurs with hdmi Realtek 2.70, please stop windows from installing default driver. - Open the Charms bar (press the Windows logo key + C). - Scroll down and click on Restart Now (under Advanced startup) and wait. - Now choose Troubleshoot -> Advanced options -> Startup settings -> Restart. - When PRompted, 7 or press the F7 key to Disable driver signature enforcement. - Now you can finally proceed to installation. Windows Security warning When PRompted During driver installation with: "Windows can not Verify the publisher of this driver software", choose "Install this driver software anyway". all credits go to Gamespirit and all who contributed into creating these drivers. Gonna try this now. CMSS-3D, in certain cases, is awesome for surround sound over headphones in games. I hope these drivers support "What U Hear" as I don't want to use Optical to my external DAC.